Baseball legend says he has been forced to pay bribes to supporters of Venezuelan government to keep family safe, had his life threatened. 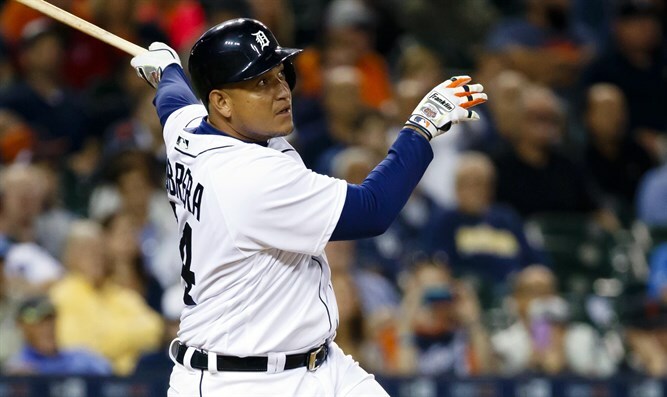 MLB superstar Miguel Cabrera reached out to his countrymen in Venezuela in an Instagram video posted Monday, in which he begged the government and its supporters to leave his family alone while offering to help the citizens of the failed socialist state in any way he could. According to reports, Venezuelans are being forced to ration toothpaste amid widespread food shortages and severe inflation. Thousands of anti-government protesters have taken to the streets in the last three months, and 75 have been killed in clashes with police and security forces. Cabrera said that government supporters had threatened both him and his family back in Venezuela, and that he had been paying bribes to keep his family safe. Cabrera said that "the chavistas,” supporters for former Venezuelan President Hugo Chavez and his successor, Nicolas Maduro, threatened his life if he should ever return to his country of birth. “They only thing I will tell you is please, do not hurt my family. I am begging you,” Cabrera said. He accused the Maduro government of having "kidnapped our country." Cabrera is considered one of the greatest baseball players of his generation. He is a two-time AL MVP, an 11-time All Star, and in 2012 he became the first player to win the Triple Crown since Carl Yastrzemski in 1967.